OPEC raises the white flag in battle with U.S.
OPEC's first production cut since 2008 reflects a recognition that hopes of drowning U.S. producers with cheap oil has failed to kill the American oil boom. In fact, the price collapse crushed the budgets of Saudi Arabia and other OPEC producers, creating financial stress that was unthinkable just years ago. Moreover, U.S. frackers have emerged from the oil crash stronger and leaner than before. Now they're positioned to ramp up output at prices that were once too low to survive on. While it is true that OPEC's strategy did slow American oil production, others agree that OPEC's price war missed its mark. Saudi Arabia's market share battle has "turned out to be a failed experiment," Michael Tran, commodity strategist at RBC Capital markets, wrote in a recent report. The price war has "left the Kingdom with little to show for its trouble besides burning through a quarter trillion of FX reserves, rising domestic tensions and a deteriorating market share position," Tran wrote. Another crash in oil prices would have plunged Saudi Arabia further into the red and threatened the IPO of Saudi Aramco, the kingdom's crown jewel whose debut as a public company could raise $100 billion. It's clear that OPEC proved it still has the ability to influence the markets in a dramatic fashion. 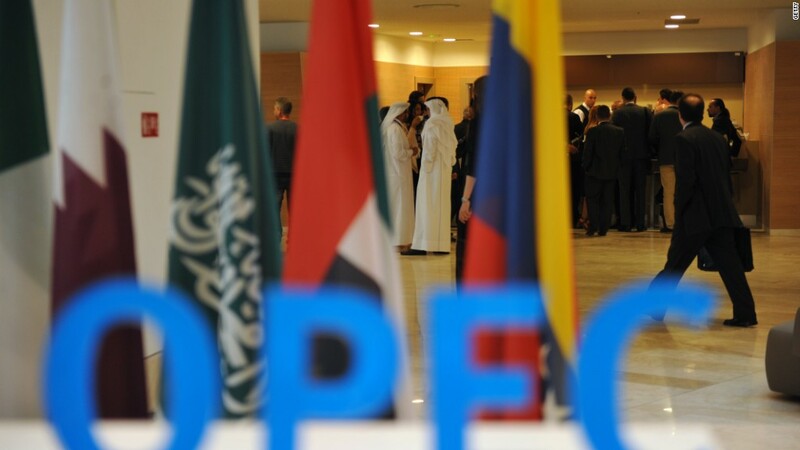 It took three days of closed-door negotiations, but OPEC did cobble together a major deal between rival factions, namely Saudi Arabia and Iran. "The relevance of OEPC as an organization has strengthened significantly," JBC Energy wrote in a note, calling the Vienna meeting "well-staged." Jason Bordoff, a Columbia University professor and former Obama energy adviser, said OPEC was able to "restrain" U.S. shale and "succeeded in cutting investment" in high-cost supply. But the latest oil rally helps U.S. producers, too. That's why shares of U.S. oil companies like Hess (HES) and ConocoPhillips (COP) skyrocketed on Wednesday. "This was an extremely bullish production decision," Jason Schenker, president of Prestige Economics, wrote in a report that oil could rise to $60 a barrel soon. Investors are clearly betting the OPEC agreement, if it's adhered to by self-interested members, will help fix the epic supply glut that caused prices to collapse in the first place. Fitch Ratings predicted the deal "should help accelerate" the ongoing rebalancing in the market and raises the odds of a "more rapid" recovery in prices. In other words, domestic oil output has dropped -- but not fallen off a cliff. "They weren't able to wipe out shale. OPEC has to face the new reality that shale is going to be there," said Thomas O'Donnell, a senior energy analyst at Wikistrat. "U.S. producers are now able to pump more for less. That's saved their bacon," said ClipperData's Smith.